A possible salmonella contamination prompted the U.S. Department of Agriculture’s Food Safety and Inspection Service to issue a health alert. 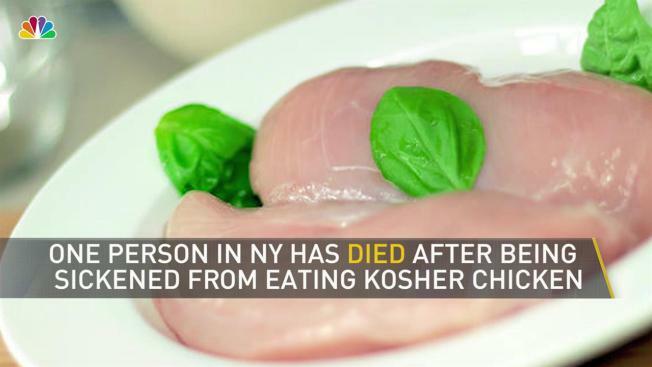 The CDC said several of the ill people reported eating Empire-brand Kosher chicken before being sick. The U.S. Department of Agriculture’s Food Safety and Inspection Service (FSIS) already issued a health alert on Aug. 24 about Empire Kosher brand raw chicken items. The raw chicken items, which may include raw whole chicken and raw chicken parts, were allegedly produced and sold to consumers from September 2017 to June 2018. Empire, in a statement on its website, said it was "shocked and saddened" to learn of the salmonella-related death. It also said it has "no data that connects this tragic event to our products" but that it was cooperating with the FSIS and CDC investigations. FSIS and CDC urge consumers who have purchased these products to properly handle, prepare and cook them by safely preparing the raw meat products, regardless if they are fresh or frozen, and only eat chicken products that have been cooked to a temperature of 165°F. Consumers should take proper precautions when handling raw chicken products by washing after handling raw poultry, meat and eggs, according to FSIS, adding that this step can reduce the risk of bacterial cross-contamination to other foods and kitchen surfaces. Additionally, one should wash counter tops and sinks with soapy, hot water.